Lions players can report on Monday for the first phase of the offseason workout program. They are one of seven teams with new coaches who get a two-week jump on the rest of the NFL. They are also allowed to have an extra voluntary minicamp due to a new coaching staff. That will be held April 22-24 according to the schedule which was released today (Thursday). 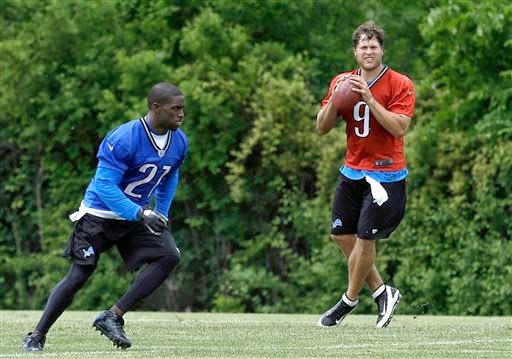 It will be the first chance to see new Lions like Golden Tate, James Ihedigbo and Dan Orlovsky. The mandatory minicamp is June 10-12. No date has been announced for a rookie minicamp which is usually held a week or two following the draft which is May 8-10.